My middle son has been on a real kick of making cupcakes this past week. He started recording Cupcake Wars and by the time he had watched the third episode he really wanted to start making his own. He has been experimenting with different flavors of cake and frosting. He has been playing around with decorating tips and different candy/ food toppings to garnish his cupcakes with. 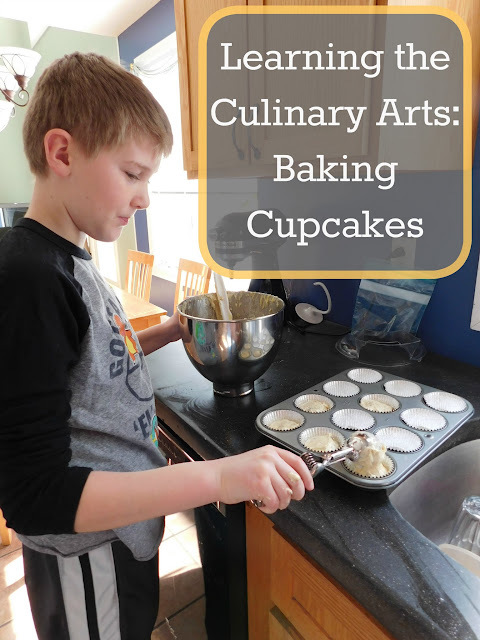 He has been creating edible art all on his own and I just knew I had to include these cupcakes as part of our 100 Days of Art; they don't call it Culinary Arts for nothing! 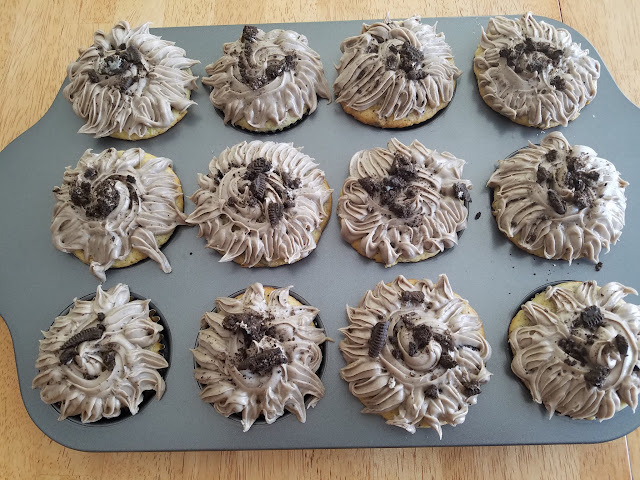 Alec made vanilla Oreo cupcakes; actual vanilla cupcakes with bits of Oreo baked inside. He used the leftover Oreo frosting to decorate them and topped them all off with even more crumbled Oreos. Alec also made mint swirled cupcakes. He wanted to make a marble cake but asked if there was some way to make marble cake using different colors. We mixed up a batch of vanilla cakes with a tsp. of mint extract, tinted 1/2 green and swirled them together. He then mixed up some mint buttercream frosting and topped them off with Andes thin mints.